Estimating costs for editing and proofreading jobs can be a bit of a nightmare, so I thought it might help if I explain how I work – and why I charge by the hour, and not by word or page (though I am also happy to negotiate a project price in advance). 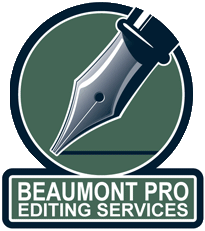 For most non-specialist jobs, I charge approximately the industry standard rate, as published by the Society for Editors and Proofreaders, although I don’t differentiate between proofreading and copy-editing as I tend to find that most jobs are a combination of the two – what I call line editing. I offer a reduced rate for students. Assuming that the manuscript contains fairly well written English and has around 250-300 words per page, I can proof up to 10 pages in an hour. For larger projects, I’d thus expect to get through 15-16,000 words in a seven-hour day proofreading. If I’m then editing the copy afterwards as well, that’s usually quite a bit quicker. So, if I didn’t have to do much background checking etc. I’d probably be able to proof, edit and return a 10-12,000 word document within 24 hours (I don’t work 9-5). I also charge a 30-minute fee for admin, printing etc. which can go up to 45 minutes for very large, full colour documents that I need to print off myself. What I can say is that I always work as quickly and efficiently as I can, and always round down to the nearest 15-minute period when invoicing. I also offer a slightly reduced daily (as opposed to hourly) rate for bigger jobs that take me more than seven hours. Please do feel free to call or email me if you would like a rough estimate of the cost for any project.